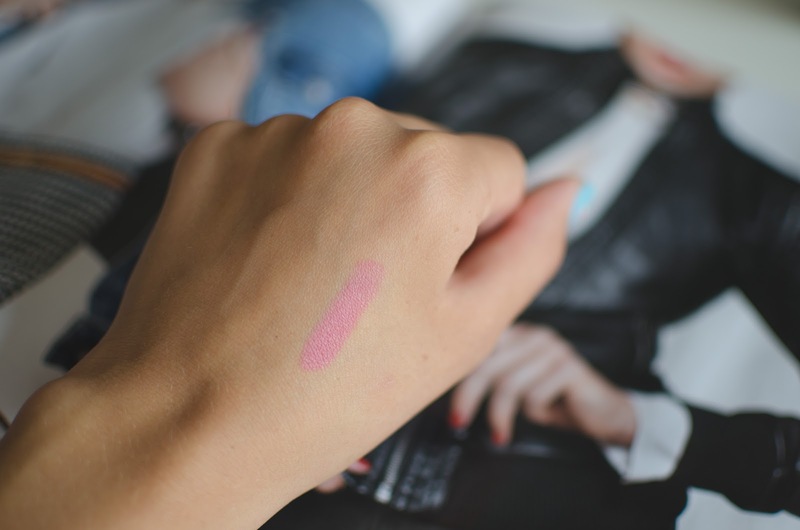 I have found a superb, pink shade: consider this your new everyday lip color. You know, the one that you leave in your hand bag and can apply without a mirror and know that you will look fierce! It is the Rimmel London Lasting Finish by Kate Lipstick in the shade 102. Ideally I would prefer to wear this throughout spring and summer, but I have fallen in love with this color and am throwing caution to the wind and will be rocking this all year-round. On a recent trip to my Walgreens, I began to feel an internal pull to the Rimmel London section and suddenly remembered Zoe Sugg's makeup collection video as well as her praises for the Rimmel London lipsticks. As per usual there was some sort of a sale and I picked up a few shades, one of them being 102. It is a warmer pink shade that leans slightly on the peach side. My favorite way to wear this is patted on over a light layer of your favorite lip balm. Due to the long lasting formula it can be a bit drying but since it is so pigmented I find that over the lip balm lets your lips stay moisturized but you aren't sacrificing color pay-off. For just under $4 I have found my new, favorite, everyday shade. 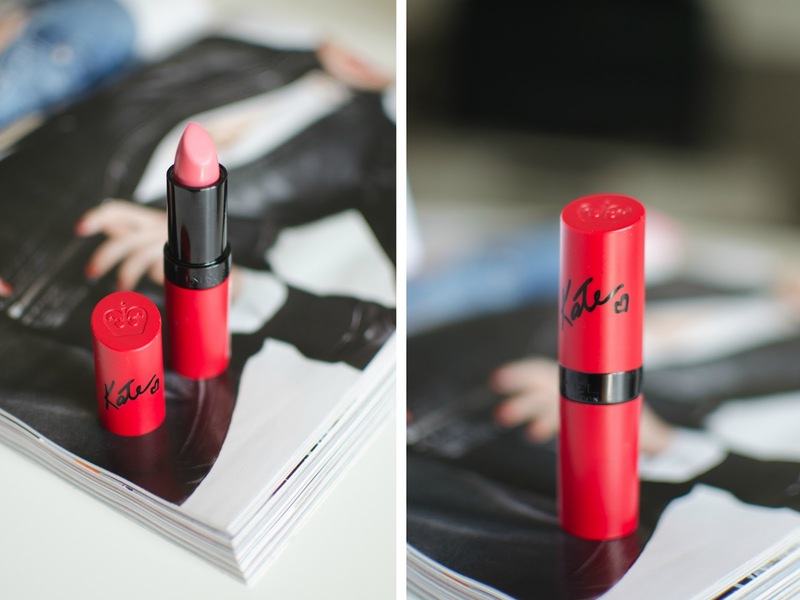 Have you tried these Kate Moss for Rimmel lipsticks before? Any recommendations of which one is your favorite?